I will never forget finding out I was pregnant with #5. I dreamed that I had a long line of pregnancy tests to show Chris and they were all positive. I woke up with a full bladder and a hunch . I took the test in our guest bathroom downstairs at 5 AM and I ran upstairs to tell him, show Him, hug him, and praise God with him. And we felt the kind of joy WE desired to feel. Finally. And it was needed. And after so much sorrow- I was a bit drunk on JOY. Intoxicated with love and hope and promises fulfilled. We needed this baby. This bright rainbow after such dark storms. It felt like an olive branch of redemption from God. Like freedom from a prison we were locked in and like sunshine on the chilliest of days. It felt right. It felt impossible for the road to be short or marked with pain. I could feel the ordinance of this- – the holy declaration of restoration. And my world instantly got bigger. It didn’t make me grieve less but things that had been painful like pregnant ladies and onesies in my hospital gift shop – – lost their sting and began to have luster again. I felt like I had been invited and accepted back to a fairytale castle after a long stay in a dungeon. The joy was exhilarating and God began to do things rapidly that He had taken His time with on other babies. A strong sense of the gender. A song for this baby. A name. All things gifted in an ” early” surge of joy that swept over me. I ordered special gifts for this baby including some very special rainbow themed items. Such sweet fun. I quite simply had good vibes. My mother cried tears of joy and relief, my husband beamed, and I was covered in the kind of joy and peace that is usually only associated with Christmas. Everything about it was perfect. I had just started my 41st year – how perfect. Perfect would remain the theme from January 19th until February 9 when the “spotting” began. The ultrasound that was meant to reassure instead revealed that what was supposed to be a 7 week pregnancy had actually drifted into eternal rest at 5 1/2 weeks. God had blessed us with a rainbow baby that would be a forever resting rainbow. But know His way is higher. That I’m hurt . . . So very hurt and disappointed . . . On top of seething hurt and disappointment that was still there. Hurt upon hurt. And that it’s hard to feel that He is good. And hard to feel that I am not cursed. It’s the only question He asks me sometimes. I trust you. It’s the only right answer. All the time. I trust that I begged Him for the miracle of remaining reconciled to Him. I wanted to know for sure. I trust that the best way for me to know for sure was to lose another child . But without drifting out of reconciliation with Him this time. He was good to give this gift. And kind to deliver it to early in the process. Grace. I trust that I had asked Him to deliver a child naturally many times many years ago. But was placed in a position with all of my live births to deliver surgically under His protection. I trust that this , these sacred 3 days that I labored over this resting rainbow. . . Was His YES to those prayers. The kindest yes for my body and my heart. I trust that He knew I love the buddy system and hated for any member of our family to be alone. Even in Heaven. 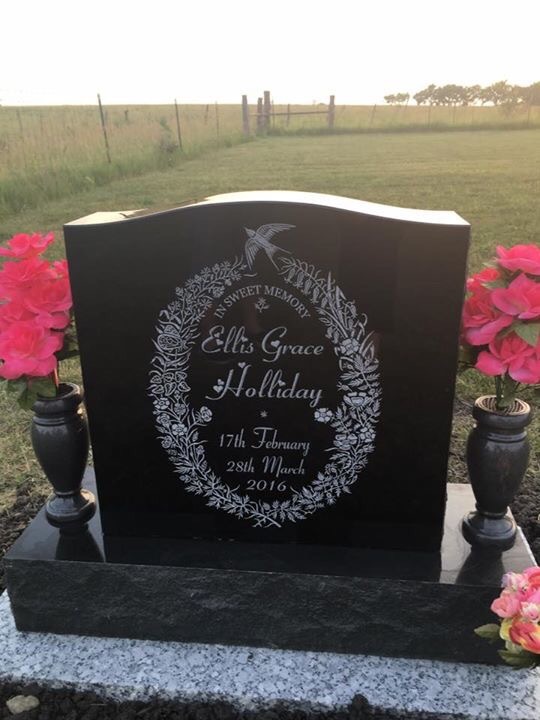 I trust that it is right for Ellis to have a sibling in heaven. For our girls to be together. I trust that I’m better for being fully sure of when I believe that life begins. There is no doubt when you tearfully beg the nurse to see if there’s anyway she can retrieve a picture of that “yolk sac” for you to keep. And you lovingly stare at it and thank God for it. Yes, life begins at the beginning for me. Long before the cadence of the heartbeat starts. And I trust that He qualified and ordained me for yet another territory in ministry. Each road I walk with Him is one I can help lead others down. My resume of pain is the most important one I’m writing. It gives me jobs and titles for this kingdom that no one else will be selected for. These paths paved with pain are taking me to good places both on earth and in Eternity. I learned that rainbows remind us of Gods promise to us. They are a reminder that we are in relationship with Him and He has the upper hand. As He should. But it’s a hand we rest in. 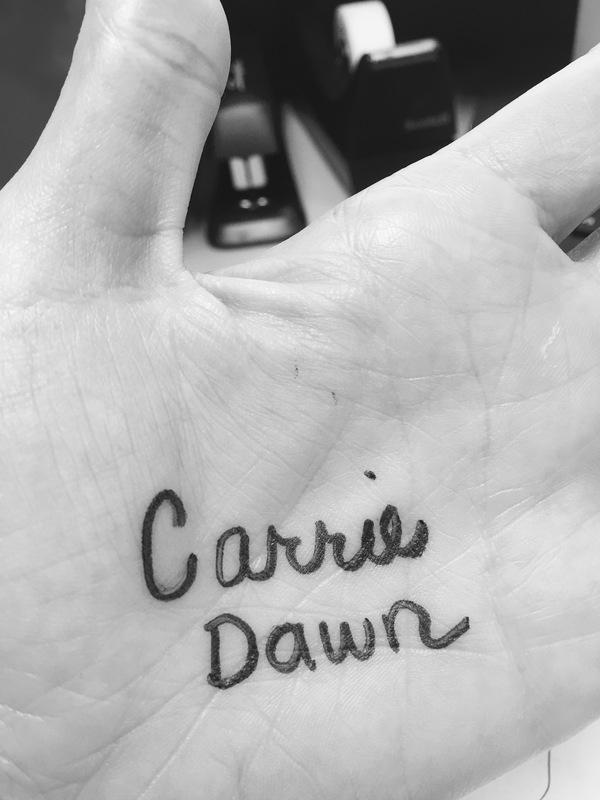 One our names are written on. I learned that rainbows make us children of wonder. Real rainbows don’t stay that long. They sparkle in the clearing after the storm and then they disappear in the sky. 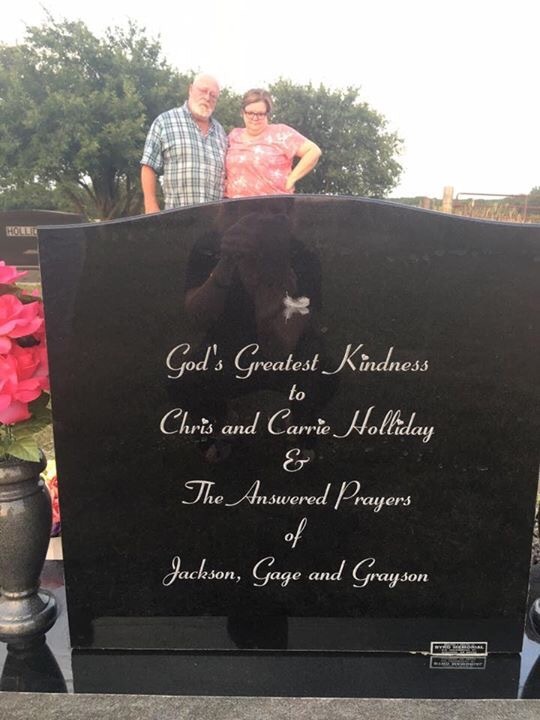 Chris privately buried our rainbow right where her sister was laid to rest. It is on earth as it is in heaven. We tucked away many dreams when we tucked that sweet baby in to rest eternal. A new memory box of things never used or worn. It was a week before Ellis’ birthday and there would be no birthday for this little joymaker. So we rest on the promises of God even while those sweet promises rest in His loving arms. Our resting rainbow. My covenant. 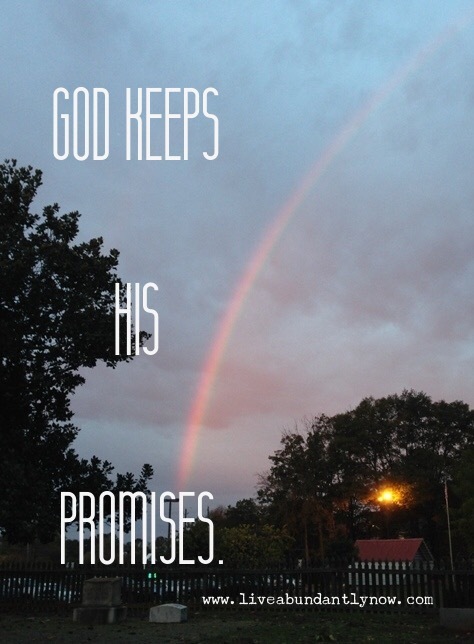 His resting promises. May we all rest In The peace that only He can bring. And I fell in love with that rainbow when she was two lines on a stick and walked in joy the 3 weeks we were roommmates in this body. I loved ever minute of being her momma. It’s gonna be a great reunion in heaven. No doubt. But now I’m guaranteed to have someone I will meet there for the very first time. Even though I carried them in my body and my heart for the fullness of their earthly life. When I get there, I won’t want it any other way. Of that, I am sure. Only God can orchestrate such magic. Sweet God, it’s good to be your baby always. 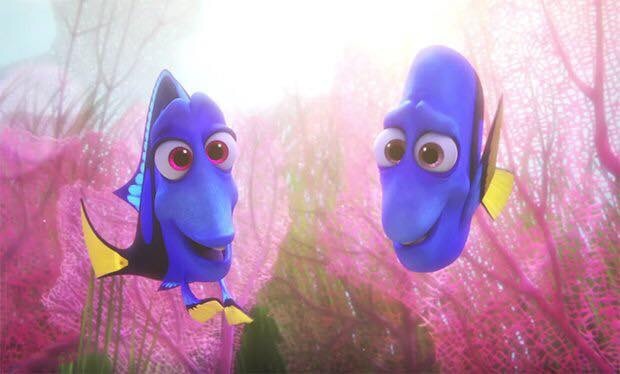 Sweet Dory was lost from her parents for most of their lives. . . And God spoke to me deeply in their story line which is hidden for much of the movie. We Come to find out that they did not panic. They did not go crazy. They did not search so frantically that they lost themselves. . . They peacefully followed her by doing something each day that built a shining path to their reunion. They were faithful. They stayed. They remained whole. They remained together. They kept hope alive in their hearts. Each day they let their love for her build one more step closer to her home. It’s beginning to look a lot like Fathers Day. Oh the profile pictures will be changing to Dad’s walking daughter’s down aisles and dads hugged up with the babies of yesteryear. There will be sweet storytelling. A longing for the Dad’s that are no longer with us. And memories will float up of those dreamy solid Dad’s who we can’t imagine our lives without. But since grief came to reside in my heart , my heart now seems to drifts towards the currents of loss and grief in all things. . . All special days. I can’t help but ache for those who never got the storybook snapshot they longed for. Many are hurt by the shortcomings of their earthly Fathers. No matter who your Dad is there is a 0% chance He got it ALL right just because he was in fact Human and sinful. Chances are, at the very least, you’ve been wounded by your earthly Father in some way. And at the very most, you may have felt abandoned, criticized, torn down, or misunderstood by your father. I’ve seen many a story of those who felt like they were dumped by their dad as a burden he just didn’t choose to bear. They feel discarded. Maybe that’s you. Maybe you feel as tossed aside as a piece of trash by your father. And here it is Fathers Day and that loving feeling everyone seems to have- – well you’ve lost it or maybe you’ve never had it. This may be your earthly reality. But it is not your heavenly one. My sweet Jesus, when He taught me to pray – – He asked me to always ask Him to let it be on earth as it is in Heaven. So allow me to remind you that our Father is in Heaven. And He treasures us above all. We are not in the trash pile with Him ever. In fact, He loves us so much. He treasures us so much that He gave His only son for us. That’s right. God himself picked favorites and He chose you and me over the perfection of Jesus. Because He wanted all of us forever. You can count on a Dad that crafts plans and makes choices like that. He chooses you and He chooses you as His greatest priority. And all of His intentions and Power align with that priority: YOU! He’s planned a masterpiece for you alone. And then a bigger masterpiece that you help fulfill. He is solid. He will never leave or forsake you. Never discard or disqualify you. For your heavenly Father isn’t made of the same sinful weaknesses as your earthly Father. He lacks nothing in His Design. Therefore He only has the best designs for you. So it’s OK if that Father’s Day Card aisle is a hard place for you to be. Because despite the hurts inflicted by the earthly Father, your heavenly Father holds you in the palm of His hand. A hand open to guide and provide for you. Never to be raised against you. . .
Never to choose anything besides you. You’ll find that your very name is written there. So that’s where I look when I need to know where I am. . . need to know that my Father’s got me. . . I look at His hand. ..
A year ago, I wrote this reflective peace called “What If? ” I was riveted by how intimately I was learning about kingdom economy and how very backwards and upside down my God is from the world I live in. Simply because it isn’t “on earth as it is in heaven”? What if our biggest losses are our biggest gains? What if the best comes to us when the worst has happened? What if,during our darkest times, we are surrounded by more radiant light than ever? What if it is our worst nightmares that make our deepest dreams a reality? What if those times that are the most difficult to walk through exist because we are walking in the thickness of a goodness we can’t understand? What if our severe weakness leads to a never ending strength? What if we were created with an inner need to be destroyed? What if we are foolishly trying to return a gift of wise riches? What if our eternity is shaped by the moments of our now? What if every tear we cried was a shadow of the joy to come? What if our arch enemy looked like the things we love the most? What if there’s one book with all the answers but we insist on searching a thousand sites of only questions? What if the things we do in secret have the greatest audience we can imagine? What if the calls we do not answer become the life we should have lived? And what if the one the world insists was an ordinary humble teacher of a man will one day be its greatest ruler? What if we would rather believe a serial killer than trust a serious savior? What ifs can make you crazy . Believe me, I’ve battled a lot of them since March 28th. But if our what ifs center around us we are bound to remain locked in this struggle against our own ignorance and arrogance. But when our thought pattern becomes “what if God” . . .
Then we solve our mysteries as we seek Him fully. . .
And the stamp of Shame is now an echo of glory. . .
Only God can show us what really is. . . As we submit to Him the what ifs and what could have beens and only then can we see what still can be. . .
And now it’s June 12, 2017 and He’s shown me even more. The irony of this post is that He has gently taught me in the past year the questions I may not ask. You mustn’t ask what if . . . He gently purrs to me. You mustn’t ask Why. . . He softly whispers. My child you cannot understand it in your current state. Later I’ll bring you there. For now remember my ways are higher. . . My thoughts are that high too. . . Out of the reach of your why’s and what ifs. . .
He’s gentle with me and always kind. But He’s taught me something with a firmness that I’m unlikely to forget. Asking what if. . . If only I had. . . Done this or known that. . . It is it’s own form of disagreeing with God. It begs me to believe that I could have done a better job than God Himself. That I would have operated differently and somehow better than the One who knows all. And since I am determined to stay reconciled and in agreement with Him, I must not go there in my mind and heart. I do not believe in the what if’s but I do believe when I’m ready He’ll show me the Why’s. . . And that very well may not be until eternity. And I trust him with that one too. Everything is a blessing . Even the yuck of things like laundry. Which I did a lot of last night . Because I live with farmers. And have I ever mentioned they are dirty? But once upon a time . . . For just a whisper of a time, a sweet little girl lived with us. And we got to do her laundry. And a remarkable wonder of the universe happened. 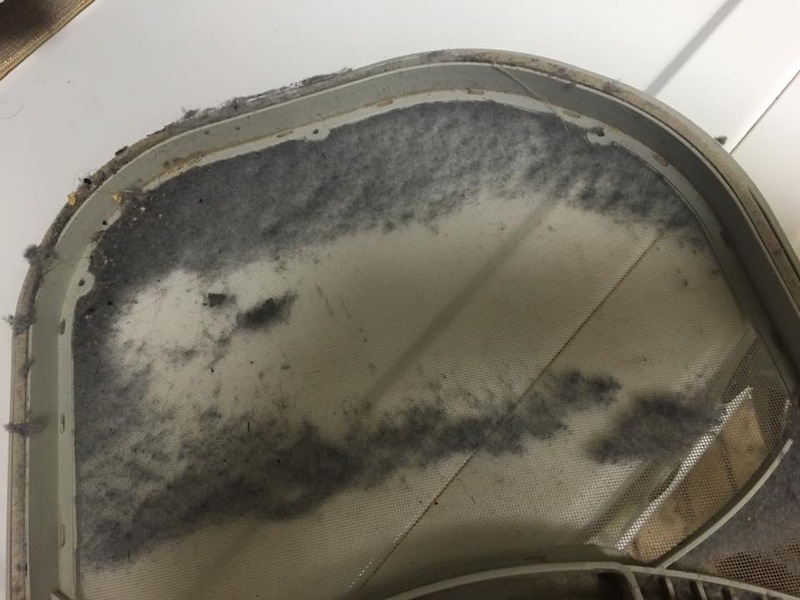 All the lint in our dryer vent was light pink. And all five of us gathered around it and giggled in the delight of that rare treasure. Can you imagine four busy dirty farmers held captive by tiny pink balls of dust and string? When it came time to end my stewardship of her belongings, an important phrase was uttered solemnly to my beloved cousin Nichole. If it needed to be washed, it would have to go in the pile of items that was leaving the house that day. Because even the thought of the sweet smell of dreft . .. Of little pink strings in the vent but with no baby to dress or cover . . . Even that was too painful to remain a possibility in my mind. And so I post this not to bring guilt but to inspire gratitude. Even chores are blessings and some blessings look a lot like chores. . .
And even though There is none dressed more beautifully than Ellis Grace. . . And Oh! How she shines in Gods heavenly splendor. . . I sure do miss doing her laundry. Last year at this time, God taught me my first lesson on trauma recovery. It was very scary. But since then it’s been easier to trust Him. I still experience triggers. They are my body’s natural response to a perceived danger. But spiritually, they are landmarks on the map to restoration. He’s showing me exactly what ground needs to be held. Which territory needs to be taken back to walk in wholeness. People who are recovering from trauma feel very bad about it. They are constantly lied to by the enemy about how they are doing and told to withdraw. Few of us are able to believe in victory with the smallest mustard seed. Tell them how good they’re doing. Tell them how God is using their story . Tell them it’s ok that they are not OK and that they will be OK again. Figure out what HOPE looks like to them and give them as much as you can. Victory has many different faces. No matter what you’re facing, find your victory in it. And huddle up people. Nobody walks alone. Better together. Herd mentality. That’s how the body of Christ works best- – all parts in concert with the other parts. Arriving at what is sweet and pleasing to our Father in Heaven. It’s so hard to understand that . . . As much as we hurt and we hurt so much. He has never hurt us. He is only here to help us. Even that help will sometimes be dressed in hurt’s clothing. Pressing in to pain is NOT natural. Trusting a God who you know was powerful enough to prevent all of this is HARD. Let’s be honest about that. The lack of honesty looks like hypocrisy and a faith without heart. But ugly, raw , open hearts that openly hemorrhage the truth of their offerings . . . Those hearts have the kind of irresistible integrity that pulls people to Jesus. They get cleaned out and healed so they can love others. They get it. That elusive it we all feel we need and have trouble finding. . . It has a name. It’s name is Jesus.